The whole range is really made for sensitive skin with no colourants, a hypoallergenic fragrance, plus it is dermatologically tested and 100% vegetarian. 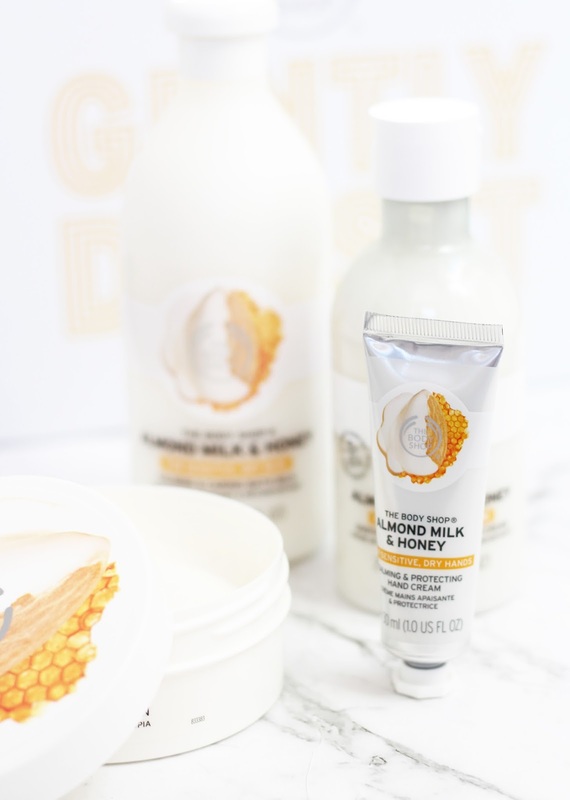 It uses Community Trade Almond Oil from Spain, which is a new ingredient within their Community Trade range and Community Trade Honey from Ethiopia. I was sent a lovely little pack of some of the range to try including the Calming & Caring Bath Milk 400ml* (NZD $34.50), Soothing & Caring Shower Cream 250ml* (NZD $17.50), Calming & Protecting Hand Cream 30ml* (NZD $13.50), and Soothing & Restoring Body Butter 200ml* (NZD $38.95). 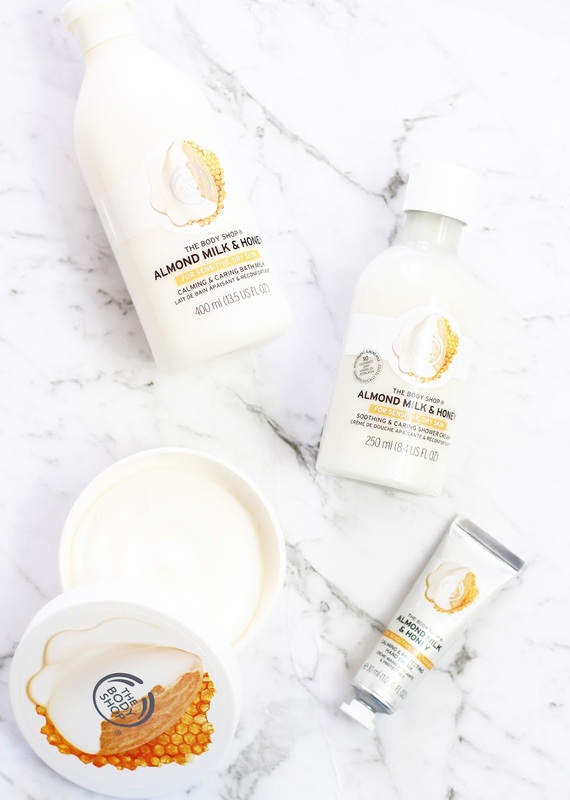 The Bath Milk is a new addition to The Body Shop lineup and is a great addition to make your bath that bit more relaxing. It will help to calm any irritated skin and leave it feeling soft after you have stepped out of the bath. I think the line is really lovely, and the very subtle fragrance and gentle formulas make this a must try range. There are three other products in the range, but not pictured here including Soothing & Restoring Body Lotion 200ml (NZD $24.95), Gently Exfoliating Cream Body Scrub 250ml (NZD $47.50), and Soothing & Caring Cleansing Bar 100g (NZD $6.95). It is available now in stores and also online, with the gift set above of four products available for NZD $95.50 here.